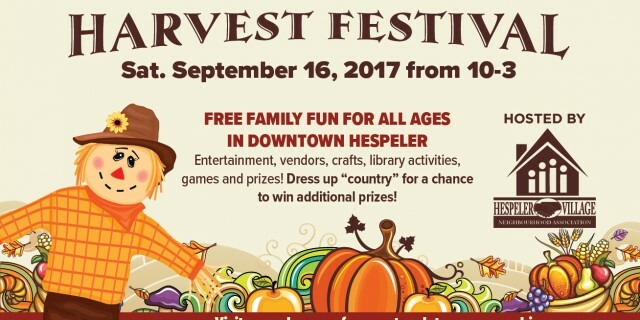 Join us Saturday September 16th, 2017 between 10:00 am and 3:00 pm for some free family fun in Downtown Hespeler! Don’t forget to stop by the Idea Exchange from 11:00am to 2:00pm! Scarecrow Storytime @11:00am at the Hespeler Library. Fall Farm Fun to follow: scarecrow craft, scavenger hunt, corn dig and more.